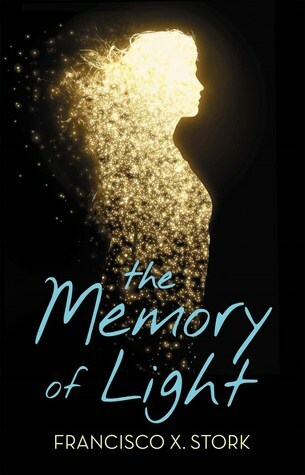 I am thrilled to be a stop on the book tour for The Memory of Light by Francisco X. Stork hosted by Rockstar Book Tours! Today, I have an interview for your reading pleasure, but be sure to check out the additional stops below, or click on the tour banner above, for more! When Vicky Cruz wakes up in the Lakeview Hospital Mental Disorders ward, she knows one thing: She can't even commit suicide right. But for once, a mistake works out well for her, as she meets Mona, the live wire; Gabriel, the saint; E.M., always angry; and Dr. Desai, a quiet force. With stories and honesty, kindness and hard work, they push her to reconsider her life before Lakeview, and offer her an acceptance she's never had. But Vicky's newfound peace is as fragile as the roses that grow around the hospital. And when a crisis forces the group to split up, sending her back to the life that drove her to suicide, Vicky must try to find the strength to carry on. She may not have it. She doesn't know. “The Memory of Light is filled with hard truths and beautiful revelations. It’s a beacon of hope for those in the dark of depression. This book just might save your life.” -Stephanie Perkins, New York Times bestselling author of Isla and the Happily Ever After. Welcome to Bookish Lifestyle, Francisco! I'm so excited to have you here with us today! In tweet form (140 characters or less), how would you describe the story of The Memory of Light to those who haven’t heard of it yet? It’s the story of sixteen-year-old Vicky Cruz the day after a suicide attempt and her efforts to recover from an organic depression (one not caused by trauma) and the decisions she makes toward embracing life. What is the hardest part of the writing process? Favorite part? The hardest part was the craftsmanship required to captivate the interest of the reader from the first page to the last page. Vicky’s recovery and her interactions with the other patients in the hospital had to be both suspenseful and upbeat despite the serious subject matter of the book. Most of all, the reader needed to become invested in Vicky’s life and find it personally meaningful. My favorite part was entering the character’s mind so that I could think, speak and feel as someone with that kind of mental illness. What do you do to recharge your batteries? What truly motivates you in general? In your writing? Playing with my four-year-old granddaughter Charlotte brings me lots of joy. Our playtime consists of a lot of pretending (usually with me being some version of the Big Bad Wolf). I bring this joy of playing into my writing. For The Memory of Light, what motivated me the most was the thought of writing a book that would be helpful to a young person suffering from depression. I don’t know if weird is the right word, but as I talked to survivors of suicide attempts, I was surprised by some of the reactions that parents had toward them. I didn’t expect stories of anger, disappointment and even rejection to the extent that I did. A little house within walking distance of the beach. Any place that is warm during the day for most of the year and has a cool breeze at night would do. Desert Solitaire, A Season in the Wilderness, by Edward Abbey. My next novel is about a brother and a sister who cross over into the United States from Mexico and this beautiful book is helping me by giving me vocabulary, images and “feel” for their journey. 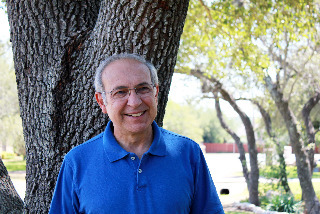 Francisco X. Stork is the author of the acclaimed Marcelo in the Real World which received five starred reviews and won the Schneider Family Book Award for Teens; The Last Summer of the Death Warriors, named a New York TimesEditors’ Choice selection; and Irises. He was born in Monterrey, Mexico, spent his teenage years in El Paso, Texas, and now lives outside Boston, Massachusetts, with his family. Visit him online at www.FranciscoStork.com.